If a recent speed comparison between the upcoming new Xbox One UI, and the current PS4 UI is to be believed, the new Xbox One UI is twice as fast on several tasks. 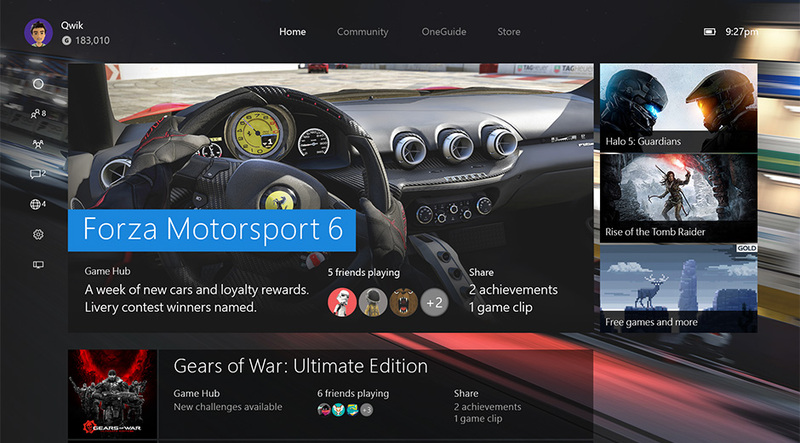 The new Xbox One interface is part of the upcoming November update, called the New Xbox One Experience. The new Xbox One interface, is said to offer a 50% speed increase, compared to the current interface. “The New Xbox One Experience will be powered by Windows 10, elevating the gaming experience on Xbox One. Integrating the speed of Windows 10, the New Xbox One Experience will get you to popular gaming features up to 50 percent faster”, said Microsoft’s Mike Ybarra on the Xbox Wire Website. Early speed comparisons however, already showed a speed increase of more than 50% on most sections tested. At the moment of writing, the new Xbox One Experience is only available for those participating in the Xbox One preview program. One of those members decided to publish a YouTube video, comparing loading speeds of the new Xbox One interface, to the current PS4 UI. Actions tested include, opening the friends list, opening messages, and starting a party. The early speed tests mentioned above, already showed a speed advantage for the Xbox One over the PS4. The new video again confirms the speed increase for Microsoft’s console. Although this doesn’t reflect all of the possible actions, it does show that Microsoft’s has done an incredible job, improving their interface. Yesterday Microsoft shared a new video, showcasing the new Xbox One Store implemented in the New Xbox One Experience. The ‘New Xbox One Experience’ will kick off on November 12. The November update also marks the launch of backwards compatibility for the Xbox One. At launch players will be able to play over 100 Xbox 360 games on Xbox One with hundreds more in the months to come.